The 4th FIBA Asia Cup 2012 semifinals is scheduled this Friday, the winners from the quarterfinal round that is set to starts tomorrow will be automatically included on semifinals round and chance to get the higher rank, however, losers of the said round will still have a chance to compete for the 5th, 6th, 7th and 8th ranks of the event. FIBA Asia Cup 2012 officials have earlier released the complete schedule of the Final Round of this mentioned basketball tournament. Starts from the quarterfinals up to final games, the event will continue to be held at the Ota Gymnasium, Ota City, Tokyo, Japan. This post will be updated live on the said date. You can bookmark this page and share to your friends on Facebook, Twitter and Google+. 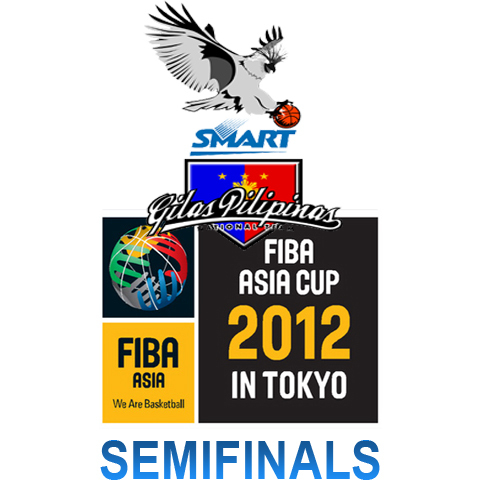 Comments or suggestions about "Semifinals Schedule of FIBA Asia Cup 2012 in Tokyo" is important to us, you may share it by using the comment box below.